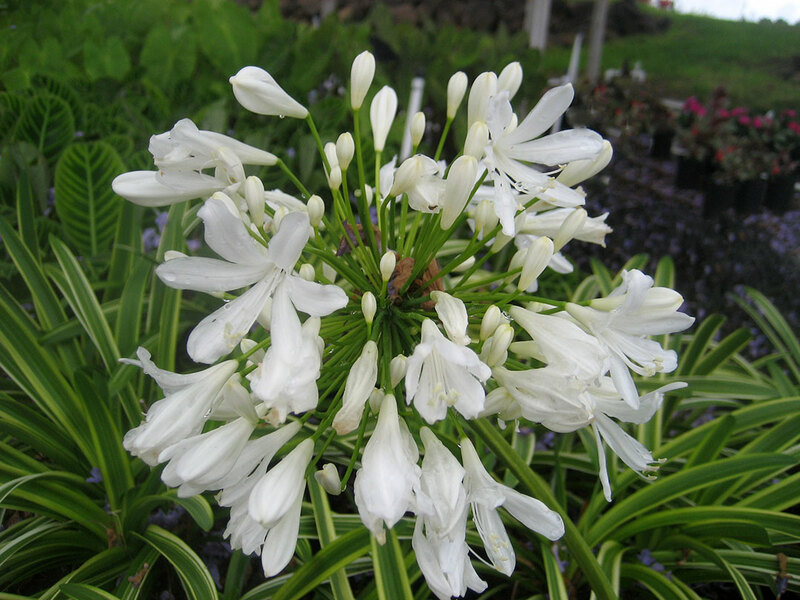 15″ x 15″ with flowers to 3′ Stripes carries large, pure white flowers above its variegated leaves. The newest growth will have the brightest variegation while the older leaves will fade some. This selection needs be grown in shade to maintain its colorful foliage, in the sun the leaf color fades; but what a great addition to the shade garden. Lily of the Nile are tough, tuberous rooted perennials that flower late spring through summer. 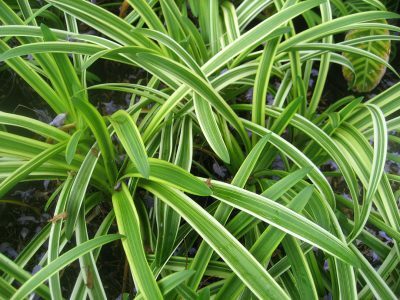 Plant in full sun to light shade and give moderate watering.